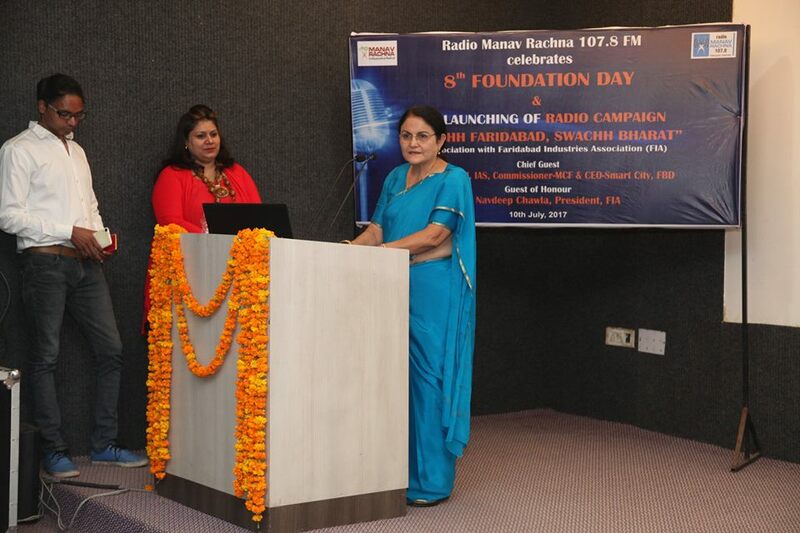 Radio Manav Rachna 107.8 celebrated its 8th Foundation Day with lot of enthusiasm at the Manav Rachna Campus. The occasion also saw the launch of yet another initiative by the Manav Rachna fraternity and RMR – “Swachh Faridabad, Swachh Bharat” in association with Faridabad Industries Association (FIA) and Municipal Corporation Faridabad (MCF). In his Welcome address, Dr. Prashant Bhalla remembered his Late Father Shri O.P Bhalla and stated that the idea of Community Radio is a Western concept and after seeing its success abroad, his father decided to initiate it here. And after putting in lot of hard work Radio Manav Rachna was born in 2009. 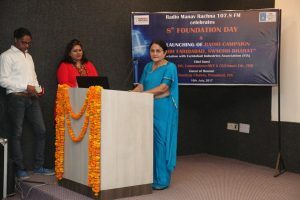 It also went on to become the first Community Radio of Faridabad. Since then, the radio never looked back and is getting stronger day by day. He also said with the efforts of Manav Rachna Educational Institutions, Faridabad has also bagged a SMART CITY tag. Seconding his thoughts, Chief Guest for the Day Ms. Sonal Goel, IAS, MCF Commissioner, Faridabad said that though she never got a chance to meet the legend but came to know about his dedication to serve people through his work and the people who he worked with. She said, “Swachh Faridabad Swachh Bharat is a great platform since it has got many people together to clean the city. 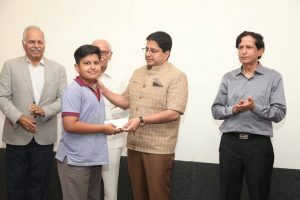 Moreover, Radio is the best medium to connect with the people and listen to their ideas and grievances.” She also said the Municipal Corporation of Faridabad is proud to the part of such efforts and will always extend its support for such noble causes. She also said that SMART City tag is a big responsibility and to make this a reality every citizen of the city will have to contribute in every little possible way. It’s a collective effort. The organisations which have come together under the initiative Swachh Faridabad Swachh Bharat include Faridabad Industries Association, Dr. O.P. Bhalla Foundation, Faridabad Action Group, Rotary Club, Sector 21 D, Smart City, Human Kind Foundation, Sledge Hammer Foundation and the Government Senior Secondary School. The Foundation Day also honored its community members for their selfless service for the people of the city and share their happiness and grievances through RMR 107.8 on daily basis. 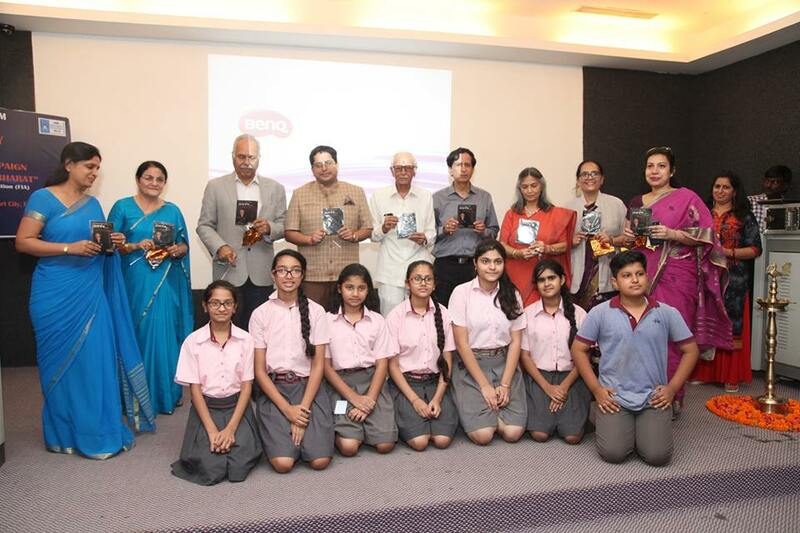 The community members who were awarded for their immense contribution Dr. MM Kathuria, Mr. D.C Chaudhary, Prof. D.P Bhanot, Ms. Kamini Singh, Ms. Chandana Kapoor, Ms. Sandeep Kaur, Dr. Leena Sinha, Ms. Manju Chandila, Mr. Ramesh Chandna, Mr. Shailendra Nangia, Mr. Pradeep Garg, Mr. A.K Mittal, Ms. Jatinder Kaur Ruby and Mr. Sachin Gaind. The Foundation Day also saw the launch of much awaited musical CD of Dr. MM Kathuria. The album – Samarpan is a tribute to life and inspires everyone to lead life with full zest. The lyrics were composed by Dr. M.M Kathuria and Ms. Chandna Kapoor. The music was also composed by Ms. Chandna Kapoor. 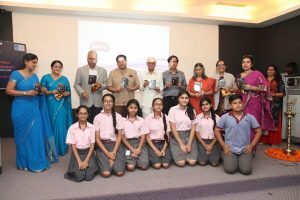 The album was released by Dr. Prashant Bhalla President MREI, Dr. N.C. Wadhwa, Vice Chancellor, Manav Rachna International University, Col. Kapoor, FIA, Dr. Neemo Dhar, Dean FMEH and other senior dignitaries. 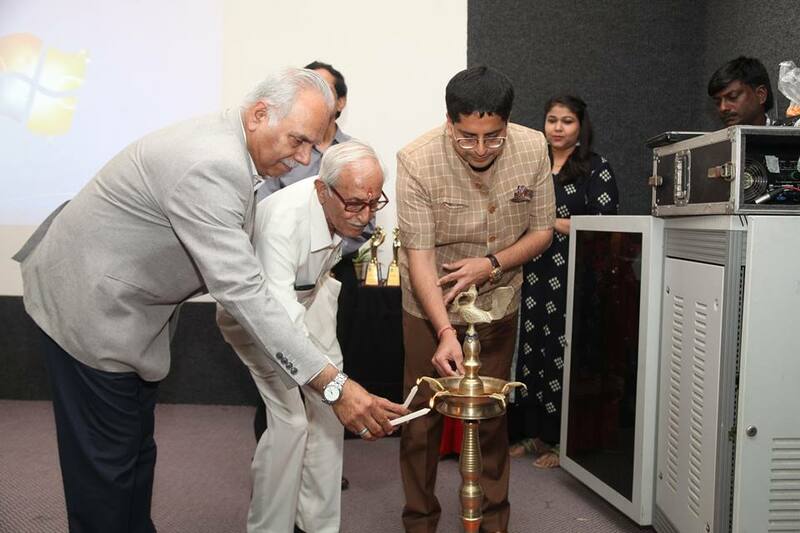 The occasion was graced by Dr. N.C Wadhwa, Vice Chancellor MRIU; Col. Kapoor Faridabad Industries Association; Dr. Neemo Dhar, Dean, FMeH, Ms. Goldy Malhotra, Director MRIS Academic Administration; Ms. Sanyogita Sharma, Principal, MRIS Charmwood and several senior faculty members.